Piedmont Natural Gas Company, Inc Corporate Office in Charlotte North Carolina is a natural gas company specializing in the business of supplying natural gas to the dwellers of Piedmont area of the Carolinas, and then Tennessee a little later. The company was formed in 1950 and initially had many challenges to face such as poor infrastructure and rusted pipelines. A popular and experienced Executive by name Buell Duncan then headed it in 1952 who introduced newly corporate culture with many innovations that helped the company to revive and flourish. The company's present management is headed by Thomas E. Skains, Chairman, President and Chief Executive Officer aided by a team of thirteen members. The gas company supplies natural gas and propane. 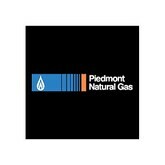 There are currently 0 consumer reviews about Piedmont Natural Gas Company, Inc available. Share your review. Please take a note that you are about to post a public review about Piedmont Natural Gas Company, Inc corporate office on CorporateOffice.com. This review will be public, so please do not post any of your personal information on this website. If you would like to contact the corporate offices of Piedmont Natural Gas Company, Inc, please use their contact information such as their phone number, website, and address listed above to contact them. However, sometimes staff from Piedmont Natural Gas Company, Inc headquarters do read the reviews on this website.